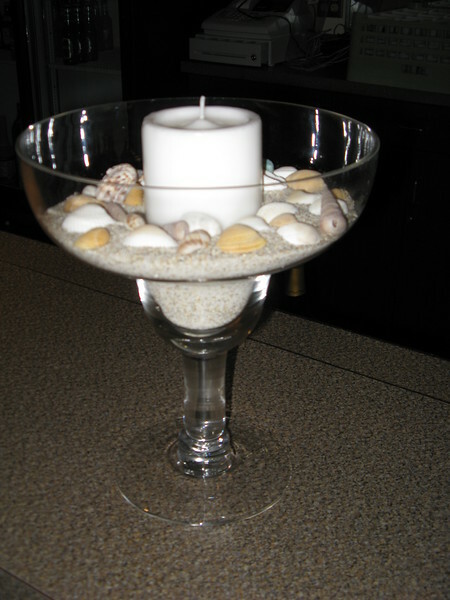 Beach Birthday Party- We set extra centerpieces on the bar and in the bathrooms so the beach was everywhere. The guests took these home at the end of the night. Often we rent centerpieces, etc. which keeps YOUR cost down but if you want guests to take them home, we build that into the price.